SHENANGO, Pa. — A Pennsylvania woman has been charged with homicide after her father found a dead baby under their porch on Sunday. According to reports, Brittany Robinson, 23, gave birth in the bathtub on Friday at full term. Robinson claims that she did not know she was pregnant, and none of her family members did either. 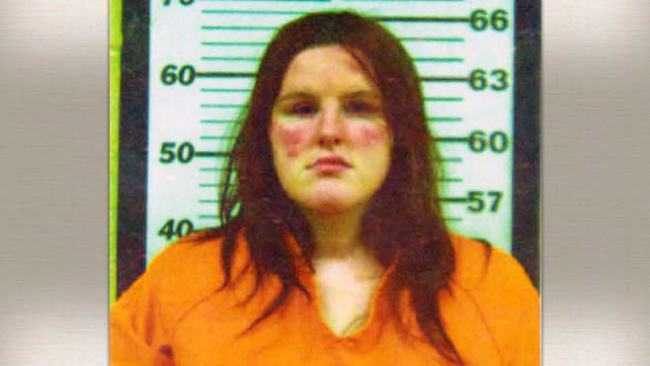 She says that the child did not have a pulse, so she placed him inside of a dresser on the family’s enclosed porch. After checking on him the next day, Robinson moved the baby to a crawl space under the porch. Robinson’s father then discovered the child inside of a plastic bag while running an extension cord for holiday lighting. He promptly called police. “There was a homeowner that was actually doing decorative work, was putting up Christmas lights, running a wire under the porch and discovered a bag. When he opened the bag, he found the baby,” Lt. Eric Hermick with the Pennsylvania State Police told WTAE-TV. Authorities state that evidence indicates Robinson knew she was pregnant, contrary to her claims. Robinson was arraigned on Monday, and is now facing charges of criminal homicide, concealing the death of a child, abuse of a corpse and tampering with evidence. According to the Post-Gazette, she is currently being held in the Lawrence County Jail. Robinson told police that she did not ask for help because she was frightened. An autopsy is forthcoming to determine the cause of the child’s death. Pennsylvania is among the states that have enacted safe haven laws, which allow mothers to leave a newborn under 28 days in the care of a hospital or police station with no questions asked. Pennsylvania’s Newborn Protection Act became law in 2003, and 25 women have relinquished their children since its enactment.